What is Sports & Exercise Therapy? Sports and exercise therapy, also known as sports therapy, is an aspect of healthcare concerned with the assessment, treatment and rehabilitation of the musculoskeletal system (the bodies muscles, bones and joints). Sports and exercise therapy can help you with sports injuries, occupational related complaints, and recovery from, and preparation for, sports and exercise. It can also help you with guidance and information on posture, exercise, nutrition, strength and conditioning, stretching and foam rolling. Sports therapy is suitable for people of all ages and abilities. How Can Sports & Exercise Therapy Help You? Recovery from sports injuries including common muscle strains and ligament sprains. Instant relief from tired aching muscles that occur from sports, work, posture and stress. Relief from joint pain and stiffness that occurs when tight muscles restrict natural movement. How does Sports & Exercise Therapy Work? Expect to feel, move and perform better as a result of your commitment to working with a sports and exercise therapist. By integrating a variety of clinical examinations, such as posture analysis, bio-mechanical analysis, and a review of current exercise and recovery strategies, we will achieve a thorough understanding of your body so that we can work together to optimize they way your body functions. Treatment strategies may include sports massage, exercise and rehabilitation and training, recovery and nutrition advice. If you’d prefer to book an appointment online use our online booking system to view availability and book an appointment. As a relatively new profession, the awareness of sports and exercise therapy is still growing. Therefore, many people are still unaware of this type of therapy and how you can benefit from it. 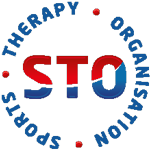 We receive many questions from people who are uncertain if this type of therapy is suitable for them. Below are some of the most common questions that we receive about sports and exercise therapy. We hope you find it helpful. However, if you have any further questions, please do not hesitate to contact us. Is sports & exercise therapy just for sports people? No, sports and exercise therapy is not just for sports people. Everybody can benefit from this type of therapy regardless of age or ability, including people who participate in recreational fitness such as jogging, yoga, fitness classes, and people who are new to sports and exercise and need help getting fit and healthy in the safest and healthiest way possible. Is sports and exercise therapy just for sports injuries? No, sports and exercise therapy is beneficial for a wide variety of complaints, including sports and exercise related pain and injury, occupational related complaints, and those that can occur as a result of day to day life and other general activities. Sports and exercise therapy can also help you to recovery from, and prepare for, sports and exercise. How often should I visit a sports & exercise therapist? How often you should visit a sports and exercise therapist depends on what you’re trying to achieve. For example, for recovery or maintenance purposes, a regular monthly treatment is better than random treatments. This is because treatment has an accumulative effect. However, for pain or injury, treatment is either weekly or fortnightly depending on the nature or severity of the issue. Our page what to expect covers this topic in detail. It covers everything you can expect from first and follow up appointments. Where can I find out more about sports and exercise therapy?  If you would like to learn more about sports and exercise therapy, you may like to visit the Society of Sports Therapist; a voluntary regulator for Sports Therapists in the UK. Read reviews from people like you who are really happy with the treatment they have received at Healthy Bodies Clinic. We have helped moms, career professionals, tradesman, students and everyone in between. Healthy Bodies Clinic in Castle Bromwich, Birmingham is a specialist Manipulative Therapy, Sports Massage and Rehabilitation Clinic for spine, muscles, and joint complaints. We provide treatments for people of all ages including sports people, office workers, manual workers and expecting mums.